Evolving technology has brought more choice to printing. However, having more options can sometimes make it difficult to make a final decision about which commercial printing process is right for your project. Every decision must be made according to the specific nature of each project, but there are some clear guidelines to follow when considering whether to use traditional Offset Vs. Digital Printing. As every graphic designer will know, one of the obvious advantages of traditional offset printing is the superlative quality of the print job achieved, particularly when it comes to the high quality of the images. In the past, traditional offset printing was carried out using established computer-to-film work processes. However, times have changed thanks to technological advancements which have improved the process with far more accurate computer-to-plate systems. Traditional offset printing is particularly useful for high volume print projects. The higher the quantity, the lower the individual unit cost, which means large scale print runs become far more cost effective. 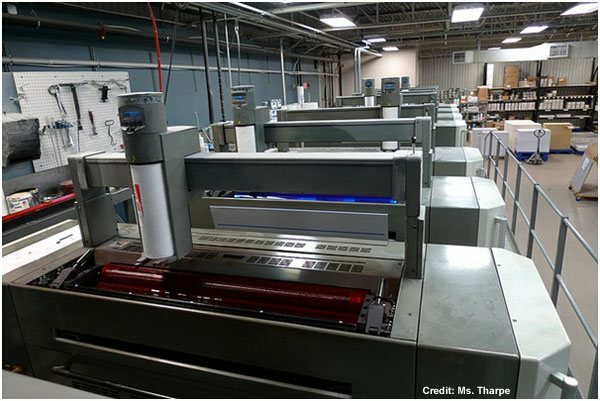 Digital printing can achieve comparable quality to traditional offset printing, but will rarely match it for volume and cost when it come to large print projects. Another clear advantage of traditional offset printing is its sheer flexibility, particularly when it comes to the choice of print material. If your project is to be printed at an odd size, on a special paper or surface or with an unusual finish, traditional offset printing provides the widest range of flexible options. Colour is always an important consideration when printing. For two inks or black ink printing, traditional offset printing is the best choice in terms of cost effectiveness. However, for more varied colour schemes, digital printing’s four colour process achieves quick, high quality results at relatively low cost. Graphic designers using the Pantone Matching System should be aware that traditional offset printing gives far more accurate results than digital printing, because traditional commercial printers actually use Pantone inks. If you’re working to a tight deadline, digital printing is often the best option, as the print turnaround times are shorter than those delivered by traditional offset printing. Also, customisation of each piece can be performed through Variable Data Printing without impacting heavily on the duration of the print process. If you only need a short print run, digital printing is far more cost effective than traditional offset printing, which can have high unit costs for low volume print jobs due to the added set up costs. Low volume print jobs that need to be delivered quickly should be printed digitally. The flexibility of digital printing is constantly improving, approaching that of traditional offset printing and many digital printers now offer a formidable range of paper, surface and finish options. While traditional offset printing continues to be more flexible, take into account print job volumes and consider using a digital printer if it’s a short run and they can print using the paper, surface or finish you require. Using a four colour printing process, digital presses can deliver high quality images and inks are constantly developing and improving. However, due to the fact they simulate desired colours using a colour matching process, digital presses sometimes offer less accuracy in their colour matching than traditional offset presses, which use a combination of the Pantone Matching System and Pantone inks. 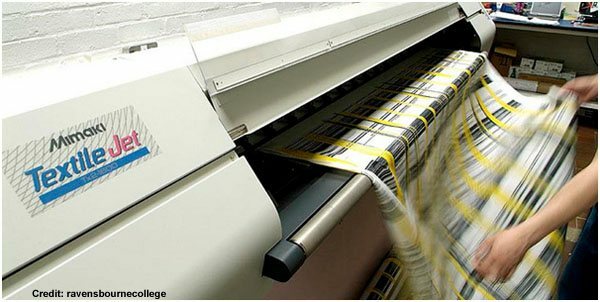 However, if you require colours, texts or graphics to be customised efficiently and cost effectively without slowing down the print process, Variable Data Printing digital presses are the best option, particularly for marketing campaign projects containing materials that need to be customised for a diverse target audience. The main advantage of digital printing when compared to traditional offset printing is the sheer accuracy of the proofing available, which enables detailed samples to be produced, and the accuracy of the print job itself, which creates exact copies of the finalised proof sample. Attaining the same accuracy of colour proofing using traditional offset printing can be quite costly. Traditional offset printing and digital printing clearly have their own unique set of advantages which need to be weighed up before deciding the best way to print your graphic design project. Identify the key requirements of your project, check them against the above guidelines and you’ll be on the right track to achieving a successful print job meeting quality, schedule and budget demands. Well i think Digital Printing works better! !